We were walking around the Arne Nature Reserve, looking for interesting places to go and I suggested we follow the signs to Shipstal Point, as it's likely to have a view of the sea. It was 1km walk away, so we headed on down. 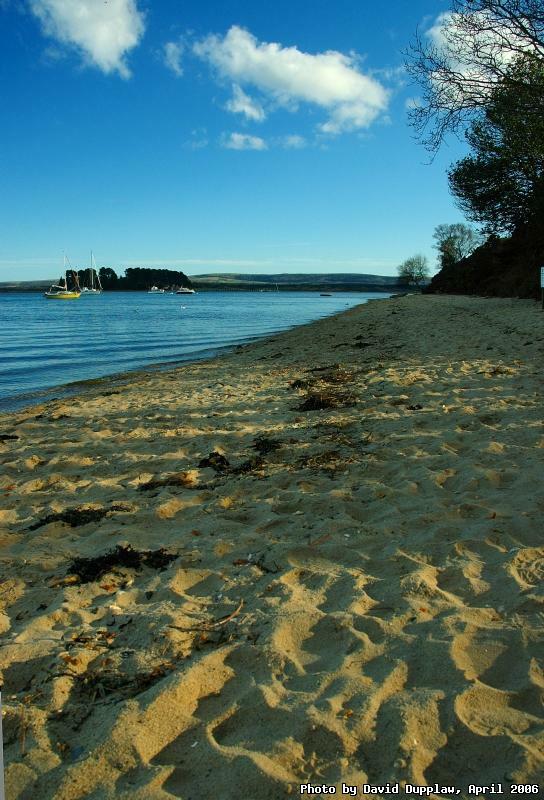 I was wonderfully surprised when we came upon a deserted little beach, in total peace but for the gentle lapping of Poole Harbour onto its shores. It is one of the nicest places I've been to in a while, although I expect when it's earlier in the day there's more people there and it's not such a haven of peace and tranquility!